Travel from Auckland or Christchurch in your campervan and save 20% on the daily rate – meaning big savings for your roadtrip adventure!!! FROM AS LITTLE AS $22 A DAY! Grab yourself a bargain and travel New Zealand in Winter! There are many reasons why a winter road trip is a good idea…you can beat the crowds you’d see during the summer months and there’s plenty of snow around for those into snow sports or bathing in the hot springs amongst the winter scenery. Need some more convincing? Check out our Winter Tips. 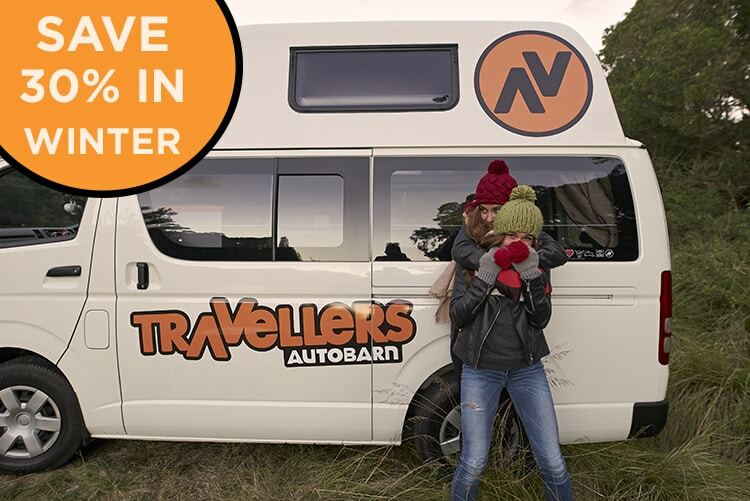 With our winter special you can book yourself a campervan for as little as $22 a day! Now that’s a serious bargain and perfect if you’re on a budget. You’ll also get a FREE WINTER PACK to keep you cosy and toasty in the evenings. So what are you waiting for? Book your campervan for your winter road trip today. You won’t regret it!